If you are married and applying for a new passport or you need to legally change your name on your passport after getting married or divorced, you will be required to present your marriage license or marriage certificate along with your application. If you have recently changed your legal name but have no changes to your marital status, you will be required to provide an official court decree before you can receive a passport with the new information. If you do not have your original marriage certificate, you can apply for a duplicate marriage license. This is for applicant’s that have a name change and their passport is less than one year old. This is for applicant’s that have a name change and their passport is more than one year old, but less than five years expired. How Do I get a Copy of My Marriage License or Certificate? 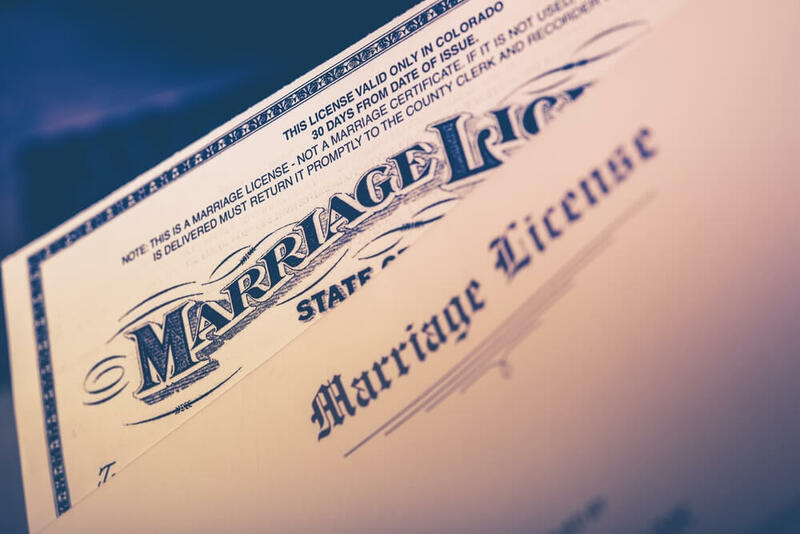 If you do not wish to mail your original marriage license or you no longer have a copy of the original document, you can request one from the Department of Vital Records. An original or certified copy is required. The Department of Vital Records may take several weeks to process a duplicate marriage certificate. If you need your passport fast, you may want to use an expedited marriage license document service. VitalChek is an official, government-authorized online vital records service that makes it easy to request a certified copy of your marriage license to submit with your passport application. With VitalChek, all you need to do is fill out the easy online form and submit your payment, then wait to receive your documents in the mail with secure delivery. This fast, secure and easy-to-use online platform is ideal for anyone who needs a copy of their marriage license to get a new passport or legally change their name after a divorce. The marriage license is required to prove your name change. Your passport application will be rejected or suspended if you do not provide all required documents. If you are having difficulty proving your name change, please submit all documentation that you have with your application. The duplicate marriage license should be a certified copy so photocopies will not be acceptable.